There are a collection of freestanding stoves, that include the latest cutting edge contemporary designs, along with dozens of classically styled models. 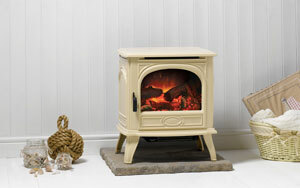 These stoves can be set back into a fireplace recess, or installed freestanding in the room. Please remember we have NO affiliation with any specific stove brand & therefore offer impartial advice & are not limited as to what stoves we can offer you. Some of the most efficient fires & stoves are designed to be installed set into a wall or fireplace. These range from inset stoves designed to suit standard fireplace openings, through to flush-fitting cassette stoves and more complex built-in appliances. Those looking for a compromise between an efficient glass fronted stove and a traditional open fire should check out the range of Jetmaster open convector fires. 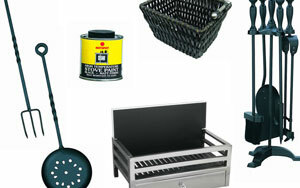 We can also supply & install open fire baskets, grates and solid fuel kits for traditional open fires. We can expertly install anything from a simple hearth to a complete stone fireplace, including chimney and flue work where required. As HETAS Registered Installers we can install solid fuel appliances and flues without the homeowner having to notify Building Control. We also work in conjunction with local Gas Safe Registered engineers and NICEIC registered electricians, to ensure any gas and electrical work is safe and compliant. Our fireplace installation service is the most competitive within an approximately 50 mile radius of Cambridge, and we gaurantee to beat any like for like quote on instalations. Wood pellet stoves explained, the pro’s & cons of these fantastic efficent wood pellet burning stoves. These modern stoves use sophisticated clean burn methods and can be installed in houses that do not allow traditional open fires and are a much more efficient way to heat room’s. 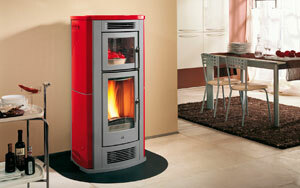 You can have wonderful naturally warm rooms using Wood Pellet Fuel with the ultimate in modern stove technology. These stove have an extremley high efficiency, normally in excess of 90%, meaning you really are helping the enviroment, by keeping your carbon foot print low. With a false chimney breast created, where ever you wish in the room, these systems, run off a Twin wall flu system, the false chimney breast will cover the pipes & the Wood pellet stove will sit smartly against the false chimney breast in your room, also can be against an outside wall and we can run the twin wall flu system up the outside. 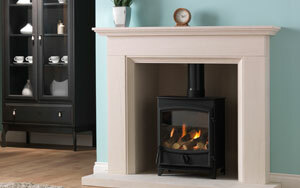 CSI can arrange installation of a range of comprehensive gas fires. The collection of gas fires you can choose from are both attractive and efficient. 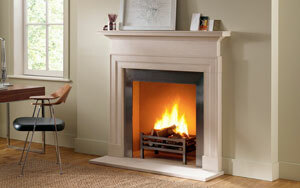 Manufacturers are committed to creating the ultimate flame-effect gas fires. Their laboratories are among the most advanced in the world to ensure the latest innovations are incorporated into their appliances, this ensures high efficiency heating performance to keep you warm and save you money, plus the convenience of features such as a remote control. 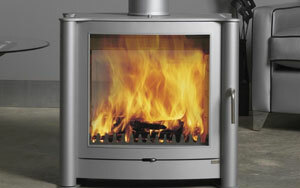 It’s easy to become bewildered by all the gas fires available on the market today. Are you looking for a replacement gas fire for your existing fireplace? Do you need a fire for heat or just aesthetics? Does your home have the adequate flue for the gas fire you like? These are all question’s here at Cambridge Stove installations can help you answer & choose the correct fire to suit you, Gas, Electric or Solid fuel. Invest in the right fire and you will enjoy many years of warming ambiance. We pride ourselves on providing the best possible service; reliability, discretion and cleanliness are assured. We supply & fit a range of electric fires, in all styles including contemporary, modern and traditional. Most Electric Fires are extremely flexible, they are designed to be inset into a back panel with the standard opening of 22″ high by 16″ wide, but can also be used as a freestanding unit. 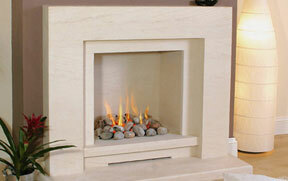 We also offer a range of space saving wall mounted electric fires. Again, these electric fires are simply plugged into a mains electrical supply. This allows the fire to be fully freestanding, semi-inset or fully inset. Most Electric Fires have a 1kW and 2kW setting, but you can also have the flame effect or light on without any heat being emitted. This is ideal if you want to give the sense of warmth without actually using the fan heater. 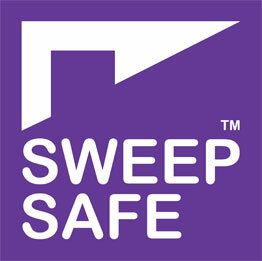 We pride ourselves on providing the best possible service; reliability, discretion and cleanliness are assured. We have teamed up with Hibbitt & Sons, which are Cambridgeshire’s oldest stone masonry company. With nearly 125 years’ experience, they are one of the most respected company’s in the stone masonry industry and like ourselves are a family run business from top to bottom. On a home visit, we will bring you images of past & current fireplace surrounds Hibbitt & Sons offer, along with samples of the stone for your Hearth & infill requirements, you can then upon having a better idea of which surround you would like and what hearth material you have chosen, visit Hibbitt & sons showroom & workshop, which is conveniently located on Victoria road, still central to Cambridge yet you won’t be stuck in the very central Cambridge traffic. Hibbitt & Sons will then help you to decide which stone you require & then hand craft this stone to your requirements. For any further information on stone requirements please do not hesitate to call CSI on 01223828688, we can discuss your personal requirements on the phone & possibly arrange a home visit. 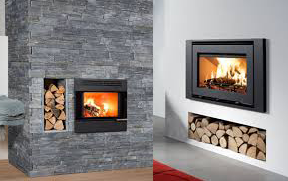 We can acquire you a wide range of products for the installation, use and maintenance of wood burning and multi-fuel stoves, buying through us will most likely save you money then you having to source the accessories yourself. 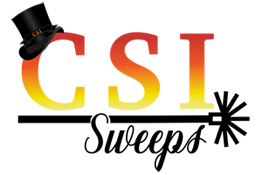 Accessories such as – stove pipes, thermometers, gloves, stove fans, replacement glass, fire ropes, high temperature paints, glass cleaners and moisture meters, are all available through us. 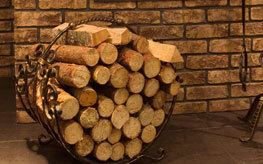 Bags of firewood, majority of logs are Ash, how ever there is a mix of Beech & Birch too. Moisture content is always below 20% and often much lower.